We have applied for funding from the 2014 Sports Capital Programme in March 2014 (http://www.dttas.ie/sport/english/sports-capital-programme), and we expect to be advised in Sept 2014 whether or not we have been successful in attaining any level of funding. As always we are continuing to monitor any additional grant/external funding opportunities and will follow up on these as they arise. We are continuing to proceed on the basis that we will be meeting the full cost of the development from our own resources. 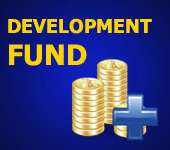 In the event that we secure any such grants/external funding this will expedite our repayment capacity. Again if anyone is aware of such grant/external funding opportunities, do not hesitate to contact any member of the Finance Committee to ensure these avenues are being explored and followed up on. A critical part of our ongoing success for our fundraising efforts remains heavily dependent upon the take up for the Standing Order scheme. If you havenât signed up for this scheme yet (New to the Lisgoold GAA or to the parish), we need your support and for less than â¬2 per week per family we can continue to build on the solid sustainable financial footing we now have in place. Contact any member of the Finance Committee for a SO form, or to set up an Annual donation. Â· Cash for Clobber collections, with next collection taking place Wed 18th June 2014. We would sincerely like to thank everyone for all the support to date and into the future for the above activities.